Full face protection from splashes and impacts. Headgear is easily adjusted with rotating knob for secure fit. Molded from durable nylon. 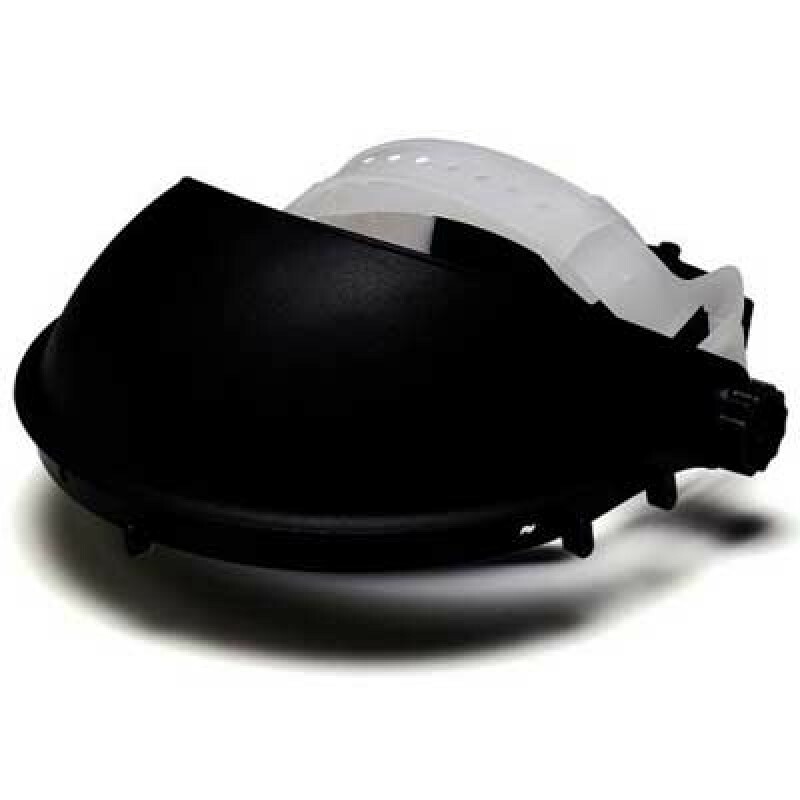 Pivoting guard allows visor to be flipped up when not in use. Visors sold separately.